This year's National Chamber Music Day involves over 60 musicians taking part in over 30 events across the length and breadth of Scotland stretching from the Highlands and Islands to the Borders. Enterprise Music Scotland has teamed up with local chamber music promoters to promote chamber music in a fun and engaging way to the passing public in galleries, museums, shops, hospitals, garden centres and even on a ferry! 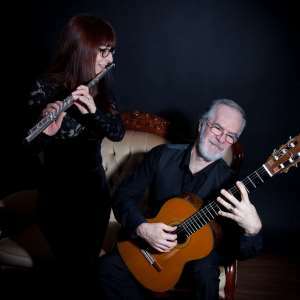 The Campbell Duo presents a repertoire of music ranging from the baroque and classical periods through to impressionism and the very best of the recent works written for guitar and flute. They have given numerous first performances, and have had many pieces written specifically for them. 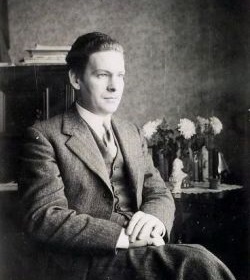 Hugh has turned his attention to the wider repertoire of orchestral works of the twentieth century and arranged them for the unique combination of flute and guitar. Hugh and Vicky met whilst studying in London at Trinity College of Music, where Vicky won a place as a junior exhibitioner at the age of thirteen and Hugh won the prestigious Chamber Music Prize. The Duo has played at many major venues including the Purcell Room, London, and has performed at most of the principal festivals and summer schools, including Prussia Cove, Cannington, and the Scottish International Guitar Festival. They have recently toured throughout the UK, Europe and Scandinavia. After having lived in Vicky's native London for many years Hugh and Vicky have moved to Scotland, relocating near to Hugh's home town of Dundee. The Campbell Duo's CD of the complete Mountain Songs by the American composer Robert Beaser has been broadcast across the USA. The Campbell Duo has forged strong links with Scandinavia and was recently invited to Norway to record new repertoire by several Norwegian composers.